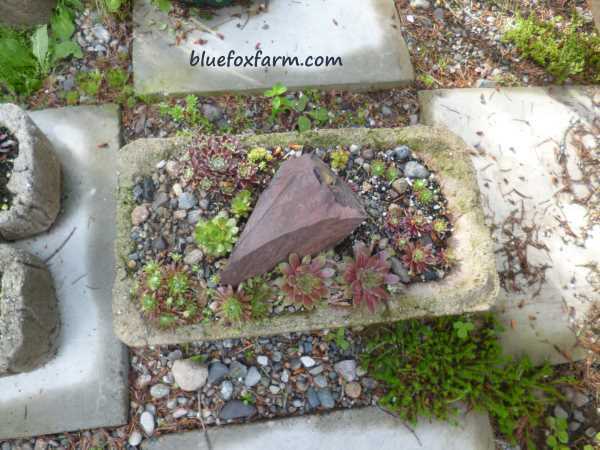 The alpine plant craze in the early part of the 1900’s started a trend of using stone sinks and troughs to plant these finicky yet beautiful plants in. As rustic garden art, a display of these faux troughs with tiny hardy succulents and alpines is charming and characterful. The gardener can provide a custom blend of exactly the right type of soil for each particular need, and the drainage is perfect as the sink or trough is raised up off the ground, allowing any excess moisture to drain away. The man who started this trend found many old sinks and stone troughs that had been used for many generations on farms, for stock watering, catching blood from slaughtering and so on. As the popularity of these heavy items waned, and were replaced by galvanized and ceramic sinks which were easier to clean, and lighter to move, many old sinks were discarded in farm yards and fields. Clarence Elliot found that they made a perfect home for alpine plants, which fitted into them like a hand in a glove, being from rocky and mountainous haunts. Sadly, the supply of the stone sinks, never in huge numbers to start, quickly ran out. It’s now used to coat metal enamel sinks, or to build solid hypertufa troughs. 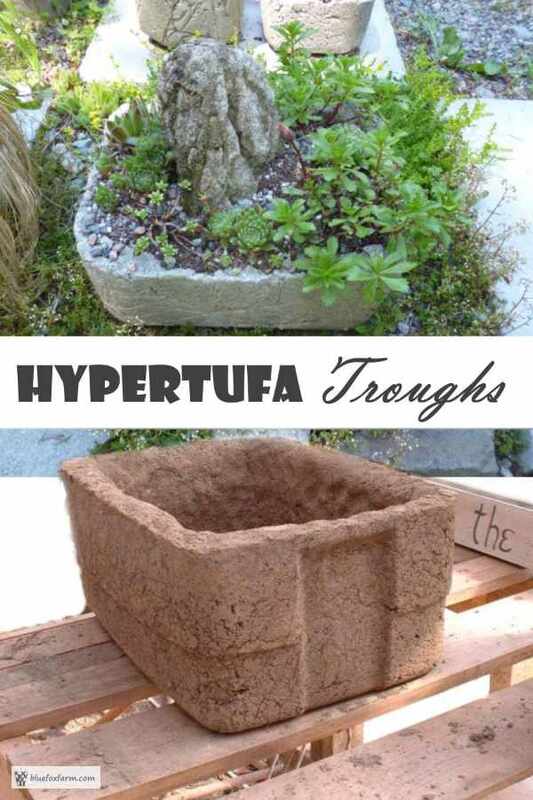 Making a hypertufa trough is a fairly involved undertaking, but well worth the effort, as the result will be dramatic. Using a mold made from two boxes one inside the other is one way of constructing your trough, or you can make a wooden frame from plywood in the same way. This works well as you can build it with screws holding it together, and it can be taken apart and used many times. For this method of making hypertufa troughs, the mixture should be more liquid so it can almost be poured into the mold. For other molds such as sand sag pots or inside plastic containers, the mix is usually more plastic, about the consistency of peanut butter, and it is easier to form. A workshop of hypertufa making is fun, and interesting. Making hypertufa troughs in a group takes some of the burden off a single artisan, and the mixing and constructing is less of a chore. I recommend getting a group of like minded creative types together for a Saturday hypertufa trough class in your area.